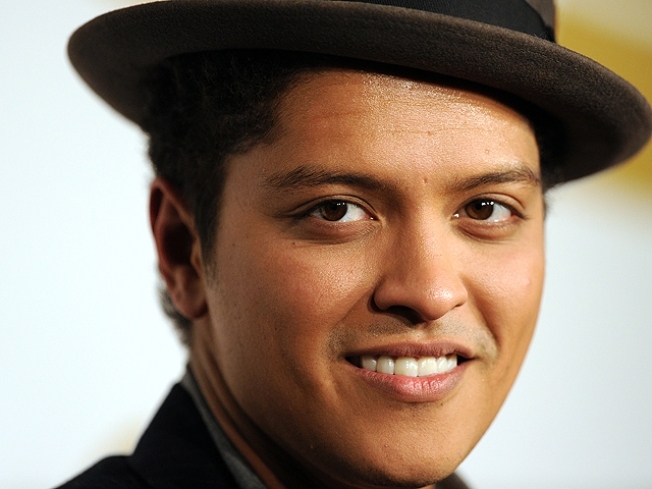 Music writer and singer Bruno Mars felony conviction could be erased next year. Grammy-winning pop star Bruno Mars has pleaded guilty to cocaine possession as part of a deal with Las Vegas prosecutors that could allow the felony conviction to be erased next year. A Clark County district judge sentenced the 25-year-old singer-songwriter Wednesday to probation, a $2,000 fine, 200 hours of community service and drug counseling. Mars, whose real name is Peter Hernandez, declined comment after the court hearing. So did his lawyers. His conviction could be erased if he stays out of trouble for a year. The judge set a Jan. 18 date next year for Mars to return at the end of his probation. Police say Mars had 2.6 grams of cocaine when he was arrested in September in a casino bathroom after a nightclub performance. VIEW THE PHOTOS: Grammy Awards 2011: Inside The Show!